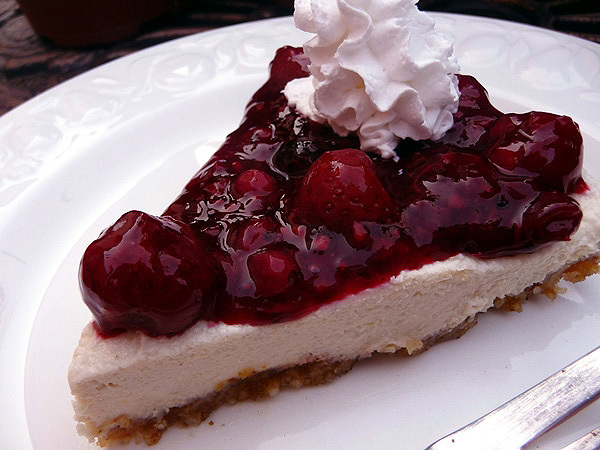 Happy National Cherry Cheesecake Day! This is a lusciously light and delicious no-bake cheesecake made with real cream, cream cheese, and cherry pie filling. Very quick and easy to make and the cinnamon and lemon zest additions are a fine touch! Super for picnics, get-togethers and evenings at home when dessert preparation times are of the essence. Make ahead and have ready in the frig! Other canned fillings may be substituted; blueberry, apple and blackberry. Mmmm! Mix together graham cracker crumbs, butter, and sugar in a bowl until well incorporated and crumbly. Press into a pie plate, going up the sides as much as possible.